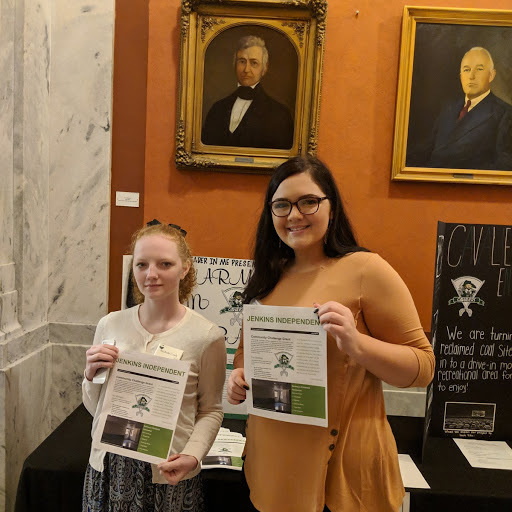 The Jenkins Student Senate Leaders Nichole Cook (junior) and Keiley Bentley (senior) met with legislative leaders to share information about our new Community Challenge Grant and our Student Senate Project for 2019. Through the Community Challenge Grant, we were awarded $10,000 to start a wellness and nutrition program to battle obesity. Using these funds, we are renovating a classroom to provide a workout facility. The facility will house treadmills, ellipticals, exercise bikes, yoga mats, and free weights. The Student Senate Leaders have also promoted literacy by traveling to the elementary school to celebrate Dr. Seuss' birthday on "I Love to Read" Day. The students traveled classroom to classroom reading classic stories and participating in fun activities with the students.